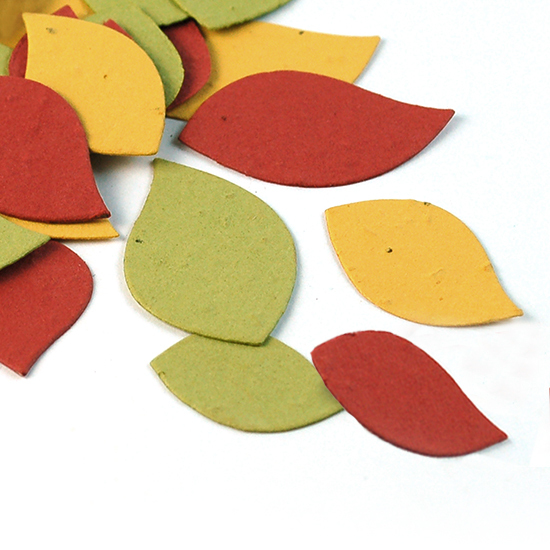 Decorate your table with the classic colors of the fall season with Autumn Leaf Eco Confetti. 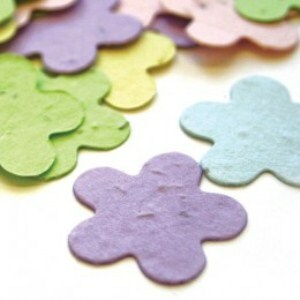 This special eco confetti is embedded with wildflower seeds so when the party is over, you can plant the confetti pieces in a pot or outside and grow wildflowers. You'll leave no waste and grow beautiful flowers. 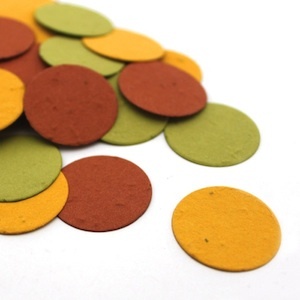 Each package contains three sizes of leaves in olive green, mustard yellow and brick red seed paper. 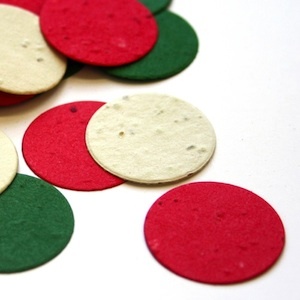 This confetti is made from post-consumer materials. For this reason, it is a better alternative to traditional plastic confetti. Each bag contains approximately 380 eco confetti pieces. 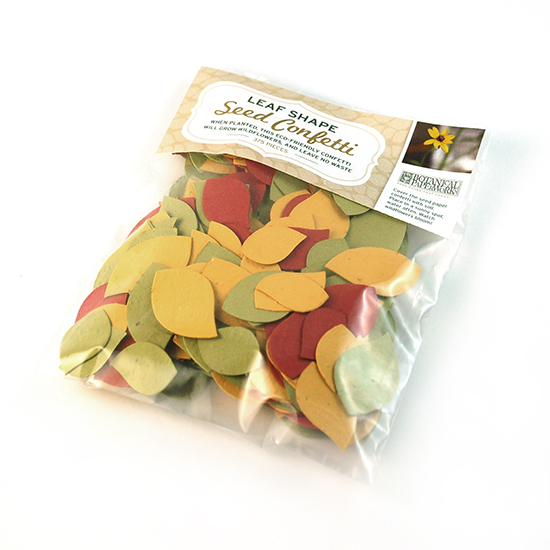 This confetti is made from plantable paper, which is made from 100% post-consumer materials and is embedded with seeds. When planted, the paper composts away and the seeds germinate. 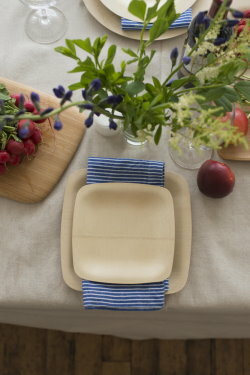 There is no waste as the only thing left behind is flowers, herbs, or vegetables. Perfect for all your celebrations and easy to grow. 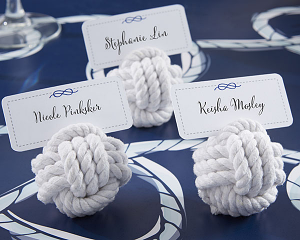 Synopsis: Looking for a fun fall theme for your big day? Have you considered an Apple Harvest inspired wedding? Apples are a wonderfully eco-chic accent to any fall wedding but when you make them the star of the show, delicious things start to happen. Join our green event guru as she gives you the brilliantly green recipe to make the perfect apple harvest wedding theme blossom into eco-chic awesomeness. Saint Mary's Regional Medical Center recently held a retirement reception for one of our prominent physicians who has served our community for 33 years. More than 600 people attended the event. In the center of the reception room we had a giving tree where people could write a sentence or two to express their thanks to Dr. Turner. These 'Thank you Dr. Turner' cards were then hung from the tree. After each person wrote their sentiment, they picked up a few of confetti leaves to take home - to plant or to save as a remembrance. One of Dr. Turner's passions is gardening, so being able to share a few wildflower seeds with his guests truly pleased him. Your Autumn Leaf Eco Confetti was the perfect complement to this fall themed event. These lovely little leaves were greatly appreciated by all who attended and as well as our guest of honor. Thank you for being such a great resource. The quality and value of your product is exceptional. The customer service and prompt, reasonable shipping is a great benefit. Your company and products definitely rate a 5 STAR and I look forward to using your products again. 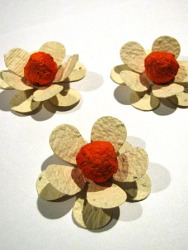 I bought these plantable paper flowers as a favor for a baby shower and everyone LOVED them. The whole ordering process was super simple, and they even arrived early. I highly recommend this product!